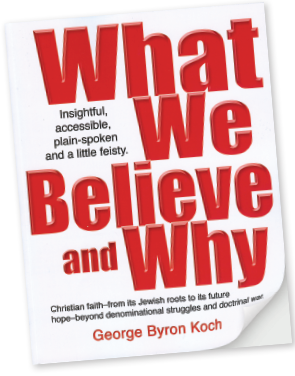 Purchase "What We Believe and Why" today! Welcome! Purchase the book below, and look around the site for some invaluable free resources: study guide, audio, radio interviews, reviews and more. 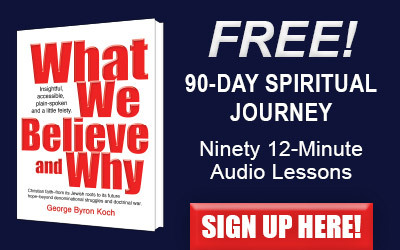 Dr. George Koch (coke) lays it out: what we believe and why we believe it. A clear telling of the Christian faith for EVERYONE - salvation, prayer, loving God and neighbor, baptism, communion, covenants, Jewish roots, worship and more - possibly more than you knew or imagined. Not to know more about God, but to know God more! If you have any questions email us at service@ByronArts.com or use CONTACT form. 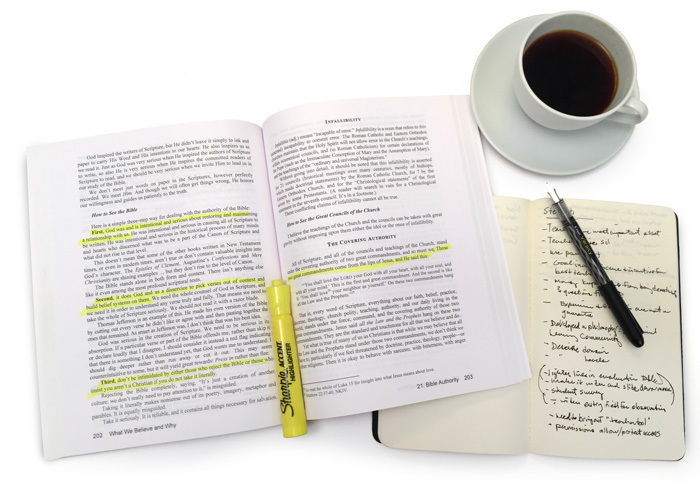 If you're unable to purchase the book, request a free copy. Contact Ingram distribution for wholesale pricing and delivery. This book has radically changed my life, and I am a pastor. I am reading it for the fourth time because I see something different every time I’ve read it. It is not a casual read, quite intense... but well worth the time.